While Iran is struggling with its flood crisis, a top expert who is on death row told Radio Farda from Iran's notorious Evin prison that authorities should strengthen the country's early warning system. Radio Farda interviewed Ahmad Reza Jalali (Djalali), a Swedish- Iranian dual national who is facing the death sentence on charges of "Enmity with God through espionage." 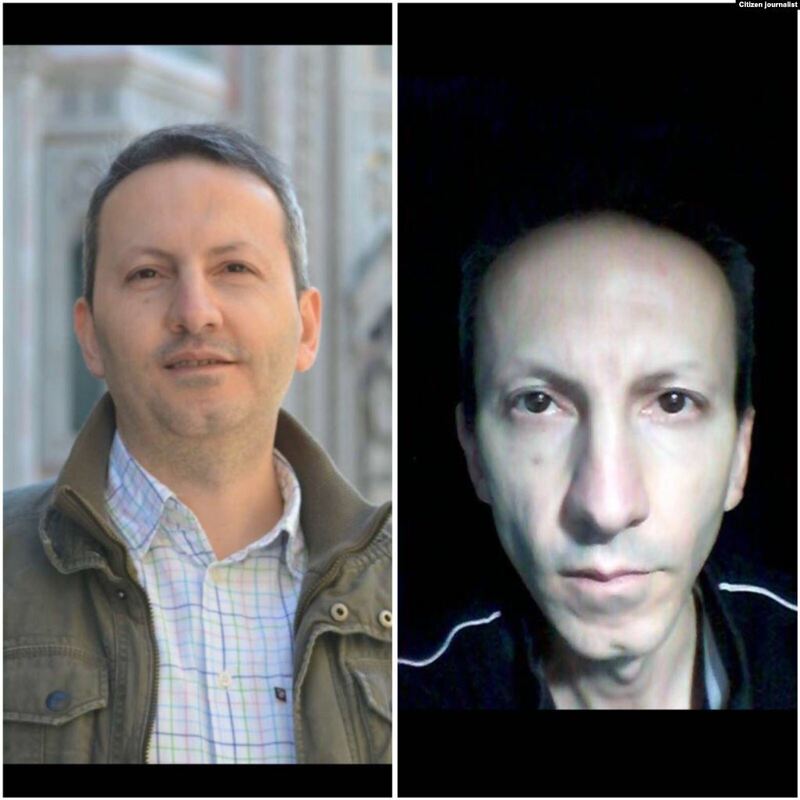 Ahmad Reza Jalali before his arrest and in Evin prison. 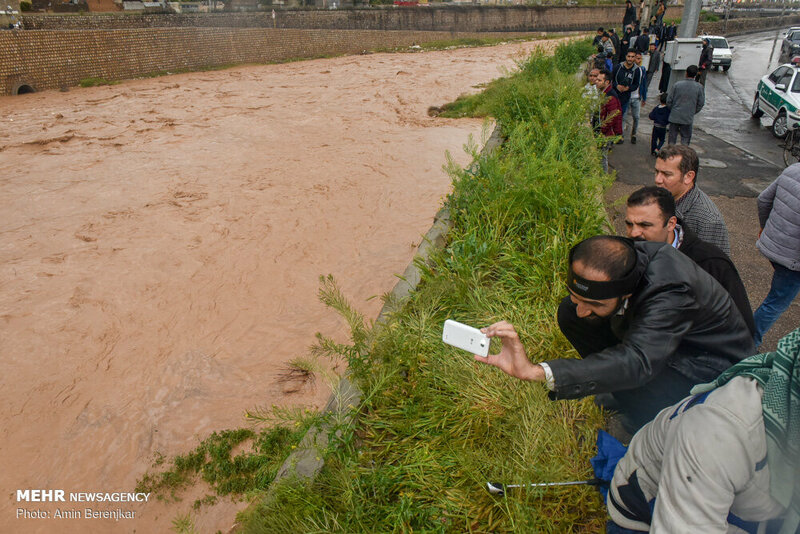 Jalali, a medical doctor and an expert on crisis management, explained in the interview the ways of confronting the crises caused by recent floods in Iran. During the interview, a pre-recorded message on the prison's telecom system was played automatically. The message is played during all conversations to and from the prison making it known that the person on the line is a prisoner. The interview was conducted through a third party, as it would be impossible for media outlets to call a prisoner at Evin for an interview. Devastating floods swept across a large part of Iran during the past week, covering 28 of the country's 31 provinces, leaving tens of people dead and causing serious damage to people's property. Speaking from Evin prison, Jalali said that officials can reduce the extent of damage through an early warning system and prevent more damages by training the people and exercising ways of surviving the crisis. He warned people in the flood-hit areas to be careful about possible contamination of drinking water in the affected areas. 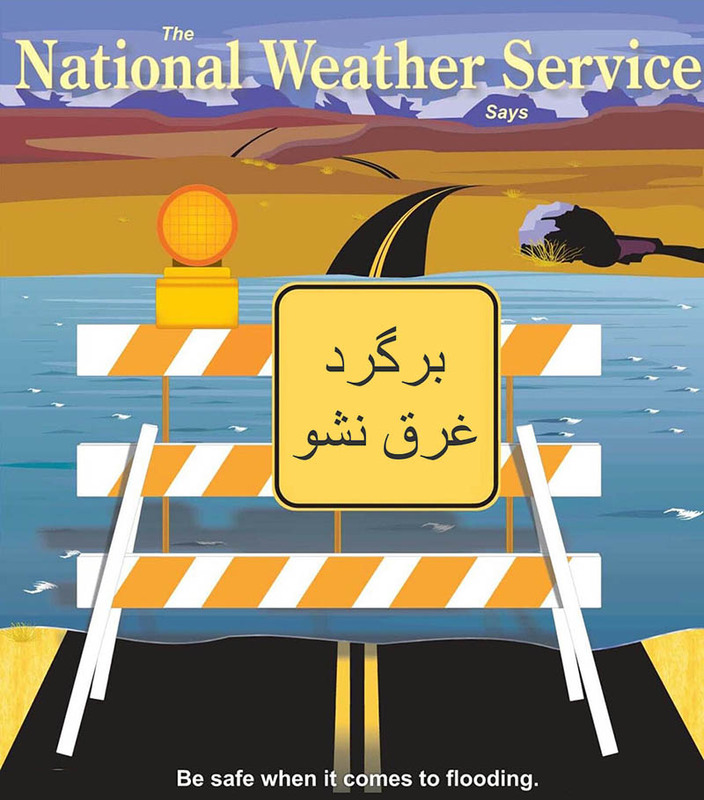 Jalali said that because of Iran's dry climate, most emergency drills were focused on earthquakes and that officials have ignored the threat of floods. In this interview, Jalali said that the reasons for massive floods during the past week in Iran included the destruction of natural plant coverage, obstruction of flood outlets as the case of flash flood in Shiraz and converting flood routes and dry river beds to residential areas. Jalali also explained different ways of evacuating flood-hit areas and pumping out residual water. He called on citizens to pay careful attention to warnings issued by the authorities, and act according to their instructions. He said gathering at flood hit areas and "flood watching" are the worst kind of behavior in critical conditions. Sweden-based Ahmad Reza Jalali, a guest lecturer at the VUB (Open) university in Brussels, was arrested on charges of "espionage" during a visit to Iran in 2016 to take part at a scientific conference, and was subsequently sentenced to death at the Islamic Revolutionary Court in Tehran. Several international human rights organizations as well as UN legal experts have strongly protested against the verdict, which was later confirmed by the Iranian Supreme Court. Jalali's lawyers say that the death sentence was handed to Jalali, based on "confessions" he made under duress and that they disagree with the charges made against him. Jalali's family in Iran and Sweden have told the press that charges were made against him after he refused to obey Iranian intelligence organization's instruction to spy on other Iranian scientists abroad.